Suppose you were designing a marine mammal. What would you need to think about to allow it to live in the ocean? How would you keep it warm? What would you design to allow it to dive for very long periods to extreme depths? Where would it find water to drink? How would you minimize the cost of swimming, and how would it find its prey in the deep and dark? These questions and more are examined in detail throughout this book. 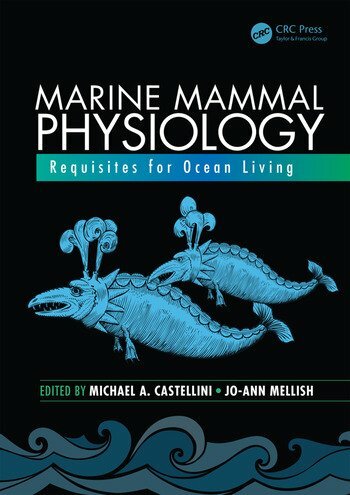 Marine Mammal Physiology: Requisites for Ocean Living is the first textbook focused on how marine mammals live in the sea from a physiological point of view. It explores the essential aspects of what makes a marine mammal different from terrestrial mammals, beyond just their environment. 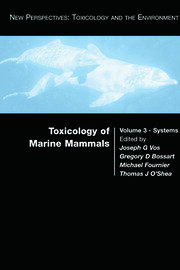 Unlike many publications and books that cover these species from almost all perspectives, this textbook takes a step back to focus on the physiological and biochemical characteristics that have allowed these mammals as a group to exploit effectively the marine environment that is so hostile to humans. The chapter topics are grouped into major themes: diving and locomotion, nutrition and energetics, reproduction, sensory systems, and environmental interactions. Each chapter is arranged around a common perspective and theme: the big picture challenge and summary and what is known specifically by order. To aid you even further, the authors include a "Toolbox" section in each chapter where they discuss the newest methods for understanding and working on the physiology of marine mammals. 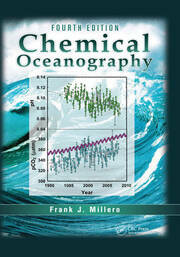 Michael A. Castellini earned his PhD from the Scripps Institution of Oceanography and has been a faculty member at the University of Alaska Fairbanks (UAF) since 1989. He was the founding science director for the Alaska SeaLife Center, the director of the Institute of Marine Science at UAF, associate dean and then dean for the School of Fisheries and Ocean Sciences. He is now associate dean for the UAF Graduate School and senior faculty in the Center for Arctic Policy Studies. Dr. Castellini’s research focuses on how marine mammals have adapted to life in the sea, including their biochemical, physiological, and behavioral adaptation for deep and long-duration diving, extended fasting, exercise physiology, hydrodynamics, and even sleeping patterns. In Alaska, his work has extended into issues of population health, contaminant chemistry, reproductive chemistry, and digestive physiology. Dr. Castellini’s graduate students have worked from Alaska to Antarctica on these issues. He has written more than 100 scientific papers and chapters on his work and is involved in local, state, and national panels and committees dealing with policy issues related to marine mammals, ecosystem management, and polar concerns. Jo-Ann Mellish earned her PhD from Dalhousie University in Canada in 1999. She has been on the research faculty at the University of Alaska Fairbanks with a joint appointment at the Alaska SeaLife Center since 2001. Most recently, she has taken on the role of program manager at the North Pacific Research Board. In a similar path to Dr. Castellini, her dean and mentor for many years, her studies on energetics, health, and condition have taken her from pole to pole. In Alaska, she has focused on innovative approaches to studying physiology in endangered species, and she has worked to raise the bar on thoughtful assessments of the research procedures themselves. In Antarctica, Dr. Mellish has been the lead investigator of a highly collaborative team of experts that melds physiology, ecology, and modeling to better understand phenotypic plasticity and the potential impacts of ecosystem change. Her work has resulted in more than 40 scientific papers.